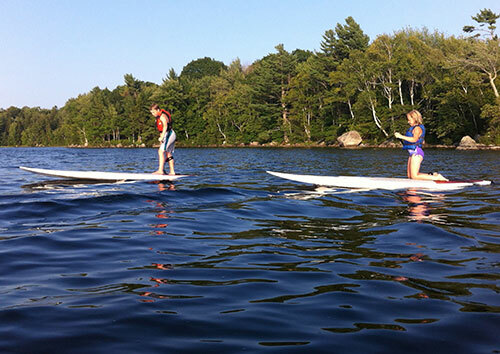 We offer instruction to customers who rent a SUP: a one-hour lesson can be arranged at your rental property the morning after your arrival for $100. We strongly encourage customers to get some training at the property where they will be using the SUP. Our instructor holds a Level 1 ACA Certification. If you’re looking for a board to be equally at home surfing a wave as is relaxing on the local lake, look no further than the Performer series. The board blends surf-inspired longboard outlines for solid wave performance with confidence-inspiring stability and a moderate rocker profile for versatility in flat-water conditions.